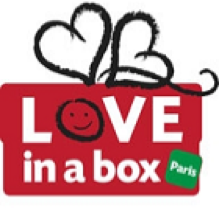 Love in a Box (LIAB) is a Paris-wide school and community volunteer project that creates and distributes gifts to children at Christmastime, and although mainly run through the American Cathedral, the program is non-religious and nonsectarian. Boxes or backpacks are assembled by parishioners, schools, and community groups and contain personally chosen items from a specific list (toys, candy, something to write on, something warm, etc). Created with love, these gifts are distributed through organisations which provide services to families and children who would otherwise receive nothing. With Love in a Box, every box has a story. The story begins with YOU, as we need your help to reach as many people as possible.